One gym management App. Multiple features. Endless ways to help your box operate like clockwork. 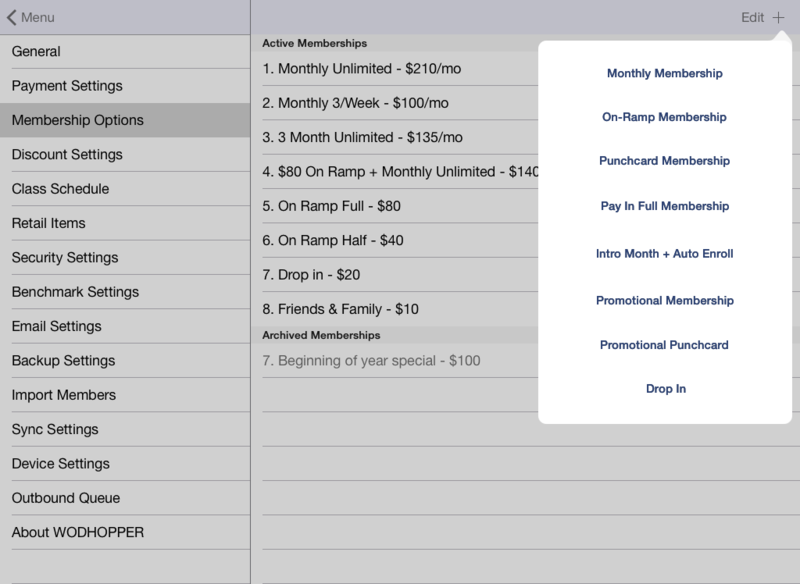 Automatic Billing Easily setup members to auto bill each month. Quickly see all upcoming payments. Receive immediate alerts when payments are declined. Allow incidental charges and retail sale to be combined with monthly payments to save on processing fees and increase sales! Increase your athletes’ responsiveness and attention with our RSVP and check-in system. Fast and easy, your athletes will no longer have any excuse to not use the check-in system. Take the pain out of enrolling new members and go completely paperless with electronic waivers, agreements, and health assessment documents. WODHOPPER will integrate seamlessly with your website to provide you and your athletes with the power of WODHOPPER, right from your home page. With social media integration, we direct traffic to your site and your brand, promoting the growth of your gym. Have instant access to your members and all of your data. Know who owes you money, who is nearing the end of a membership, and much more. With offline capabilities, WODHOPPER allows you to manage your business from anywhere. Enjoy flexible reporting ranging from simple reports, such as birthday reports, to more complex reports like monthly revenue breakdowns, memberships, and much more. Quick and powerful, our benchmark and WOD tracking allows your members to track their progress in your gym. Chart, take notes, and share with the simple and easy-to-use, device-independent web-app. Schedule a demo to learn the ins and outs of WODHOPPER’s gym management software in under 30 minutes. No problem! Check out our Frequently Asked Questions or view our library of helpful video segments to get all the information on WODHOPPER you need.